With Inside Out making a big impression this summer and filling the emptiness left by two years without a Pixar production it feels somewhat selfish to so willingly accept another feature so quickly. That said, The Good Dinosaur has been such a struggle to produce I'm sure both Disney and Pixar are as happy to have it completed as we are to see it. With pre-production possibly beginning as early as 2009 with an original 2013 release date on the books, The Good Dinosaur has seen its fair share of ups and downs including a complete voice cast overhaul as recently as last month. Bob Peterson (a co-director on Up), who came up with the idea for the story, was originally slated to direct the film until August 2013, when he was removed from the project and replaced by Peter Sohn (who had previously served as co-director) in October of 2014. All of this is to say that for all the moving parts and disjointed working conditions the creators behind the final product seem to have crafted something especially stunning, at least in terms of visuals. Little can be gleaned from this first full trailer as far as the story goes, but the aesthetic of the naturalistic environments juxtaposed by the more cartoony character designs is certainly interesting. The music, from what I assume is a sample of Thomas Newman's score, is also hauntingly beautiful before segueing into Of Monsters and Men's "Crystals." Needless to say, despite not knowing much about what is going on here my interest is piqued and I can't wait to see if, for the first time, Pixar can deliver two gems in a single year. 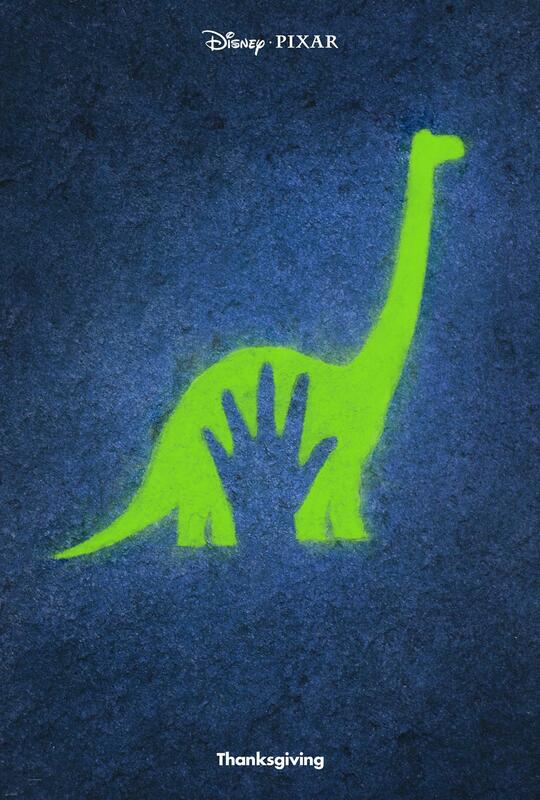 The Good Dinosaur features the voices of Raymond Ochoa, Jeffrey Wright, Steve Zahn, A.J. Buckley, Anna Paquin, Sam Elliott, Frances McDormand, Marcus Scribner, Jack Bright and opens in 3D on November 25th. Synopsis: “The Good Dinosaur” asks the question: What if the asteroid that forever changed life on Earth missed the planet completely and giant dinosaurs never became extinct? Pixar Animation Studios takes you on an epic journey into the world of dinosaurs where an Apatosaurus named Arlo makes an unlikely human friend. While traveling through a harsh and mysterious landscape, Arlo learns the power of confronting his fears and discovers what he is truly capable of.